The Mid-Missouri Area does not endorse any website linked to this site nor is it responsible for the contents of any subsequent links from those pages. The links on this page are provided for information only. 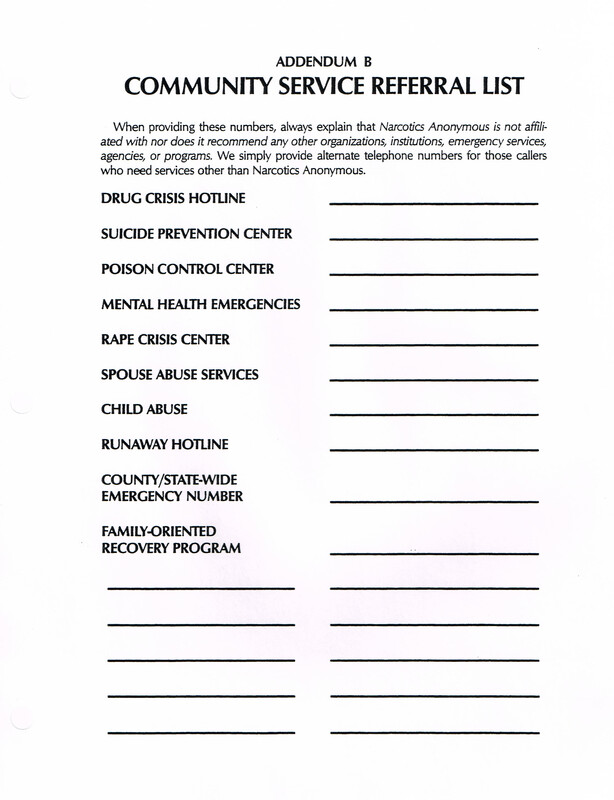 Family and Friends may find help at Nar-Anon. 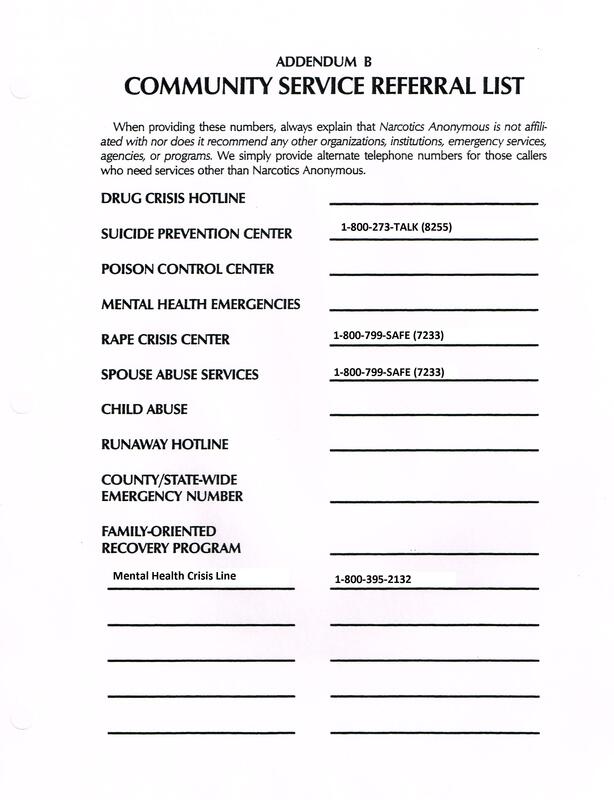 If you attended the phone line workshop, here are the Community Referral phone number papers. The first one is the completely blank one, and the second is the one with some national numbers filled in for you. Community Referral Page with Some National Number filled in.